Although this home looked like it had been there for over a century, it actually was built in the 80’s and needed some freshening up! 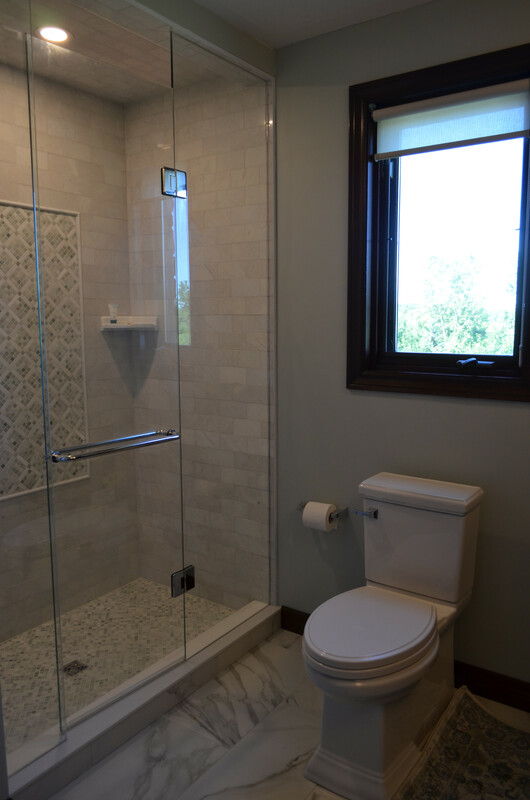 There were no major issues that needed to be addressed, so the focus of this project was to change all the fixtures and surfaces and update them with a timeless, classic style that the homeowners could enjoy for years to come. 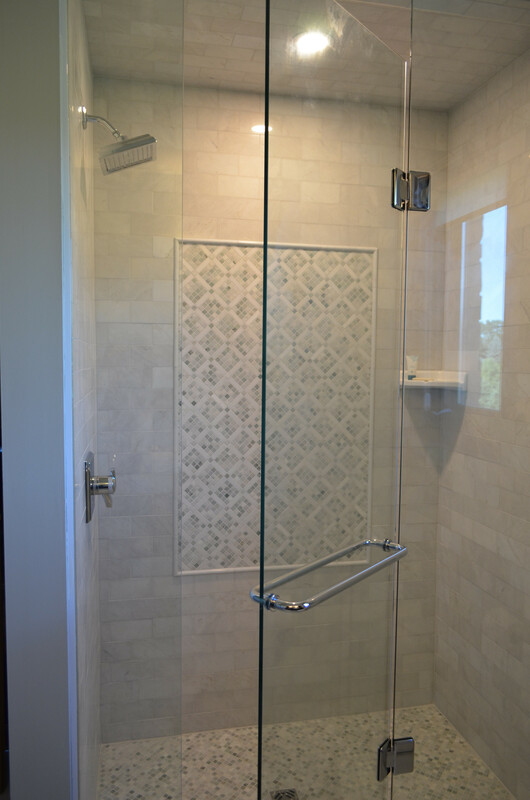 Elegant marble tile in a soft green diamond pattern was the starting point of the design and was complemented with mosaic tile in a matching hue with a winter white subway tile in the shower. Porcelain floor tiles with a subtle gray vein are laid in a horizontal brick pattern and in-floor heating adds luxurious warmth during the cold winter months. 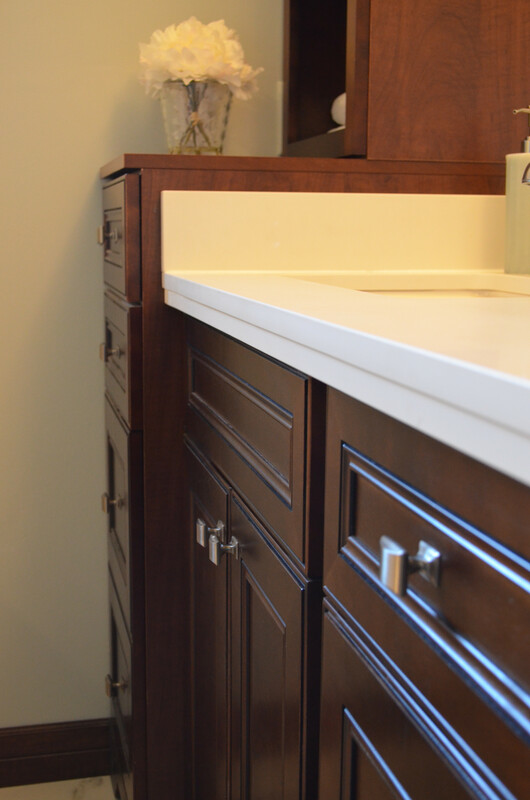 Rather than selecting a painted finish, the homeowner wanted the cabinetry to contrast with the soft marble colors and have a wood stained finish. 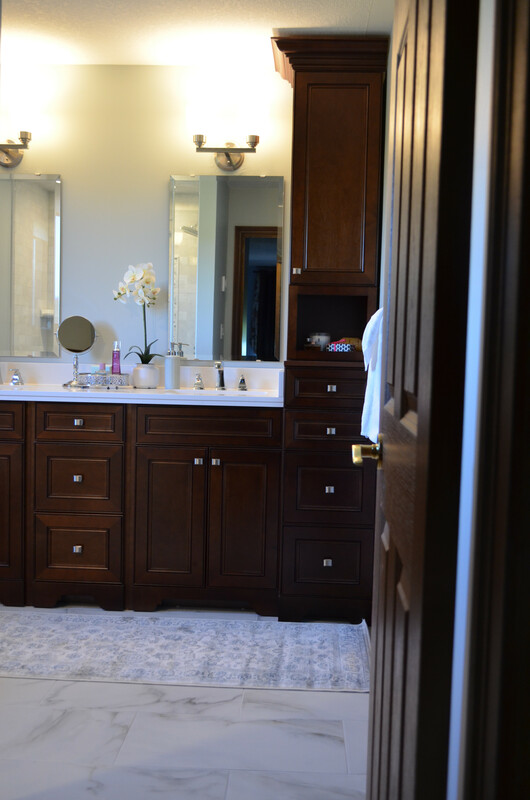 The detailed panels on the vanity doors add sophistication and the extra storage drawers were a much-needed addition to this bathroom! 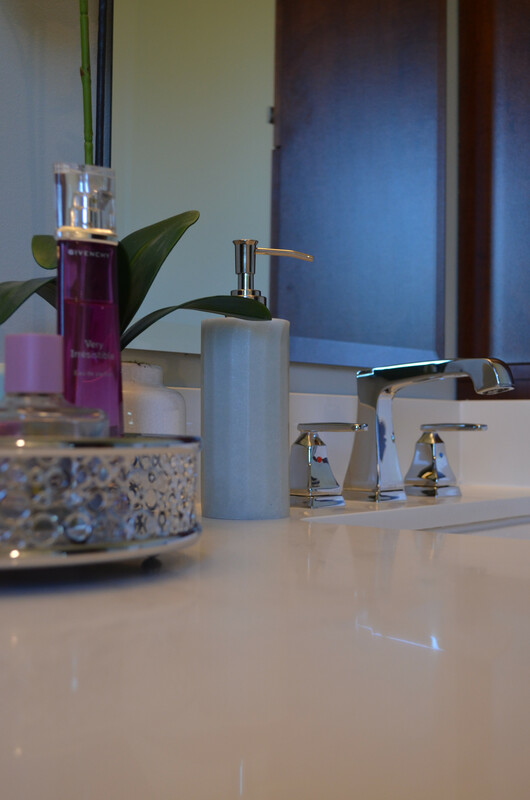 Misty Carrerra Quartz countertops harmonize with chrome fixtures adding subtle shine to the traditional space. 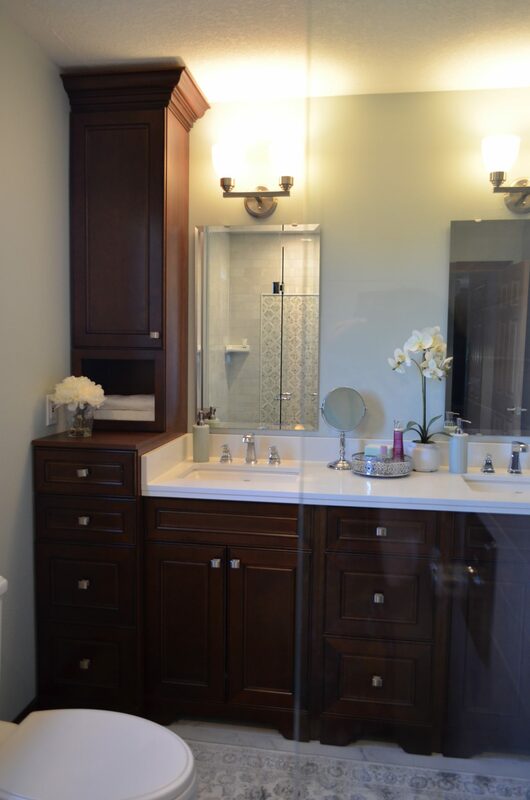 Mirrors & lighting were chosen by the client and are uncomplicated and functional. 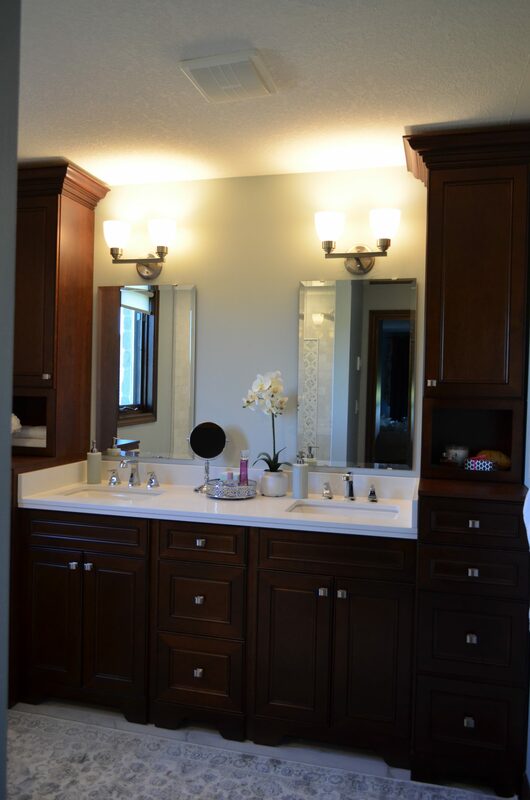 With dated laminate and oak cabinets long gone, this Master Bathroom delights the senses and creates a soothing much more up-to-date place for these busy homeowners to call home at the end of a long day.